Its peak phase(4-5 May) lasted approx. 24 hours, when near-continuous pulsating lava fountains generated multiple lava flows into the Las Lajas and Santa Teresa drainages, as well as multiple pyroclastic flows onto the SW, S and SE flanks. As of now, the volcano has returned to mild to moderate intermittent strombolian activity (its typical state). Fuego volcano Volcanic Ash Advisory: VA EM SPECIAL RPRT BY INSIVUMEH. Activity has gradually increased during the past days, with explosions becoming stronger and more frequent. Since 31 March, strombolian-type explosions, with ejections up to 300 m above the summit crater, have become near-constant, producing abundant rock falls mainly to the east and southeast upper flanks of the volcano. The peak phase with pulsating lava fountains and lava flows began in the morning of 1 April (local time) and lasted approx. 16 hours, before sharpy dropping after past midnight.  Fuego volcano Volcanic Ash Advisory: OCNL VA EM. Fuego volcano Volcanic Ash Advisory: ERUPTION AT 02/1246Z.